On June 9, Adam West passed away after a short battle from leukemia at the age of 88. Becoming internationally famous for his signature role as Bruce Wayne, he will always have a place in our hearts. He always tried to make his fans laugh and have a good impact on those around him. Even in his personal life he was a fan of DC, with one of his prized possessions being a drawing of Batman from Bob Kane. On it, Bob wrote, “To my buddy, Adam, who breathed life into my pen and ink creation.” He was a hero in so many ways for millions around the world. His first major role as the portrayal of Batman, from the 1966-68 TV show Batman. Years later, after the show ended, he had success going into voice acting with the 1977 The New Adventures of Batman as well as playing Batman in various other productions. During Batman: The Animated Series, he played an actor who was so well known for a previous role as the superhero The Gray Ghost, he was unable get more work. 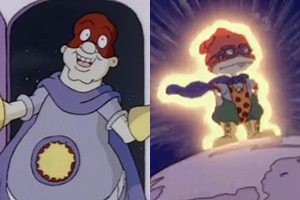 In Rugrats, West voiced a superhero Captain Blasto, inspiring Chuckie to become a superhero himself. In The Animaniacs, he was Spruce Wayne, the Caped Crusader. Adam West’s Batman appeared in an episode of The Simpsons alongside Burt Ward. In Kim Possible, he was The Fearless Ferret. 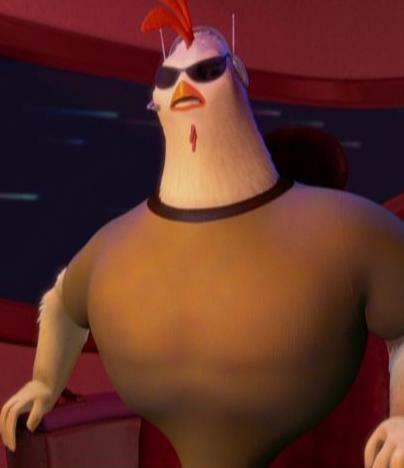 In Chicken Little, he was Ace, who portrayed Chicken in the Hollywood adaptation. In the 2004 The Batman TV series, he plays Mayor Grange. In The Fairly Odd Parents, he was the famous “TVs Adam West,” famous for his superhero Catman. In an episode of Spongebob Squarepants, he was Young Mermaid Man, with Burt Ward playing Young Barnacle Boy. In Batman: The Brave and the Bold, he played Batman’s father, Thomas Wayne. Mayor Adam West appeared in 111 episodes of Family Guy. In a upcoming video Batman vs. Two Face he reprises his role as Batman, expected to come out sometime this year, also with Burt Ward reprising his role as Robin. We will miss you Adam West. Goodbye.